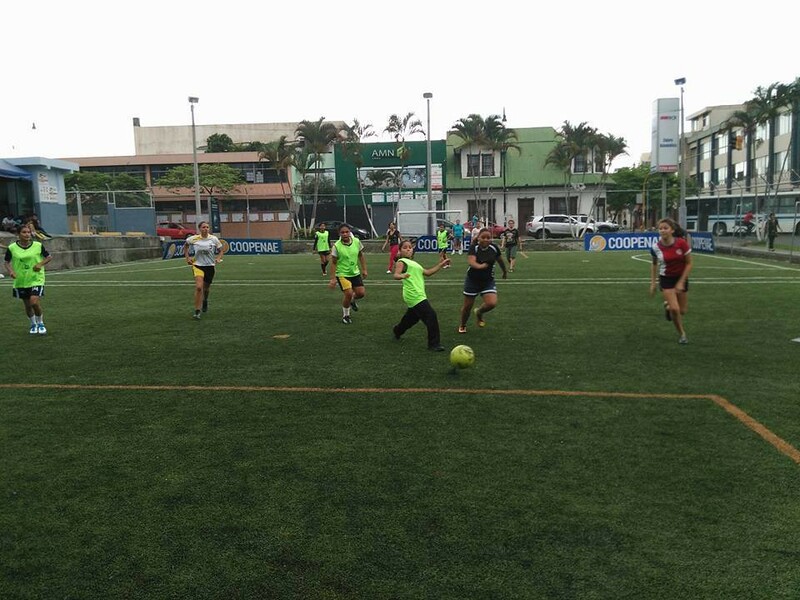 Seprojoven of San Jose, Costa Rica hosted an inspiring PLAY IT FORWARD Sunday, June 28th. They included members of the Costa Rican National Women’s Soccer Team just back from Canada and the Women’s World Cup of Soccer!! Below are excerpts from their facebook page along with the automated english translations below the spanish text. 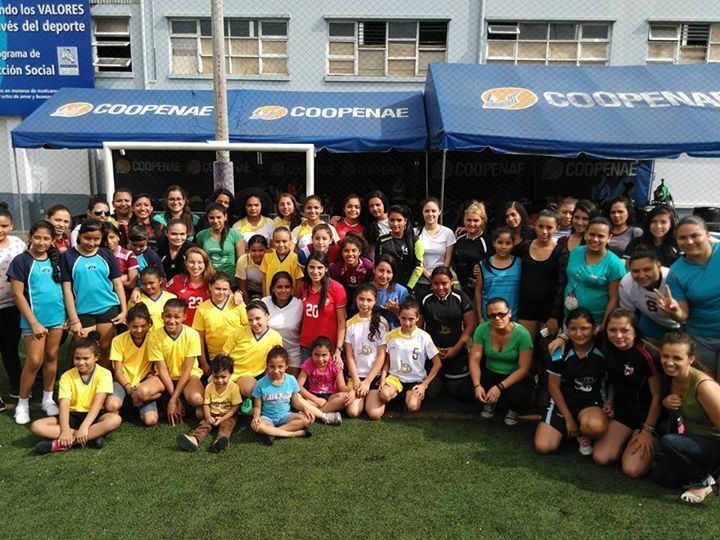 Thank you Seprojoven for an inspiring event and many many good photos showing girls and women inspired by soccer. 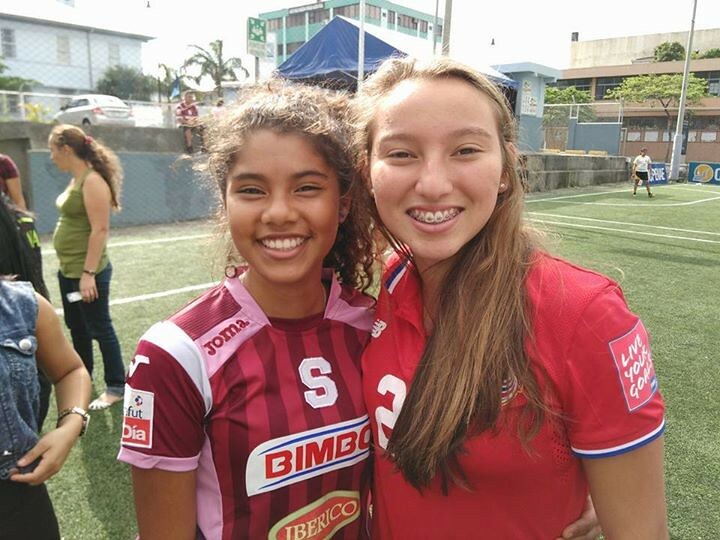 ¡Domingo de Festival LIGA FEM con la presencia de Wendy Acosta y Gloriana Villalobos jugadoras de la Selección Nacional de Costa Rica con las niñas, adolescentes y jóvenes de Guarari, León XIII, Los Cuadros y Rincón Grande Pavas, SEPROJOVEN! Sunday of festival league wef’s with the presence of Wendy Acosta and gloriana villalobos players of the national team of Costa Rica with the girls, teenagers and young people from guarari, LEO XIII, the paintings and corner, big pavas seprojoven! 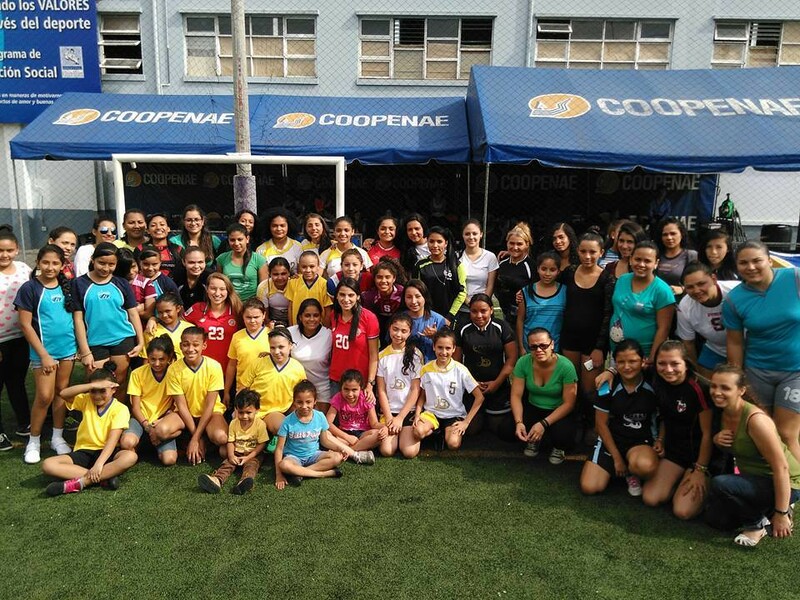 Young soccer enthusiasts gathered to take the PLEDGE OF HOPE and meet the Costa Rican national team fresh from the Women’s World Cup.